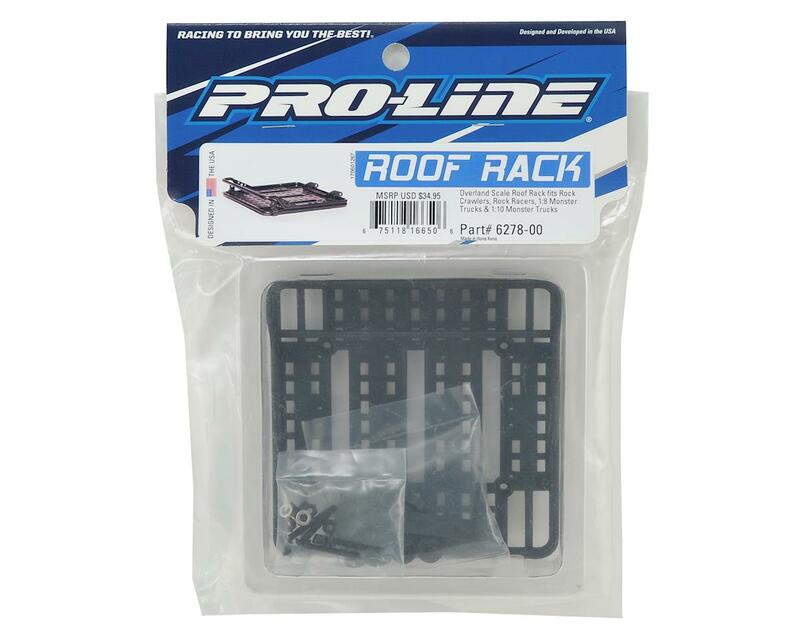 The Pro-Line Overland Scale Roof Rack is made from durable Black Nylon and is a two-piece tubular roof rack design that is perfect for adding scale accessories and scale detail to your rig. Plus, it integrates perfectly with Pro-Line's 2” LED Light Bar (PRO6276-00) and 4” LED Light Bars (PRO6276-01)! The included hemispherical roof rack mounts allow the Overland to be mounted on body and cage surfaces that are not completely flat for easy installation. 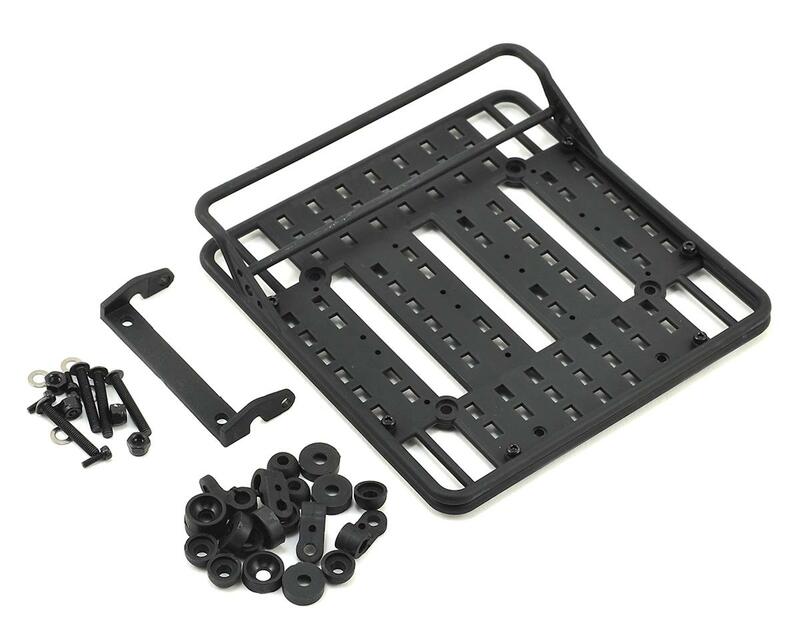 The Overland Roof Rack also includes a variety of cutouts covering the bottom that will allow scale straps and ties to be used anywhere you want to strap down any of your favorite scale accessories. The plastic bars that go across the front are very fragile. Mine snapped the first time I rolled over.